Top seed Simona Halep and Angelique Kerber moved into the quarter-finals of the Qatar Open but Karolina Pliskova was forced to withdraw from the tournament due to a viral illness. Halep will move above Petra Kvitova to go second in the rankings next Monday following a 6-2 6-3 victory over Lesia Tsurenko in Doha on Wednesday, setting up a meeting with Julia Goerges. 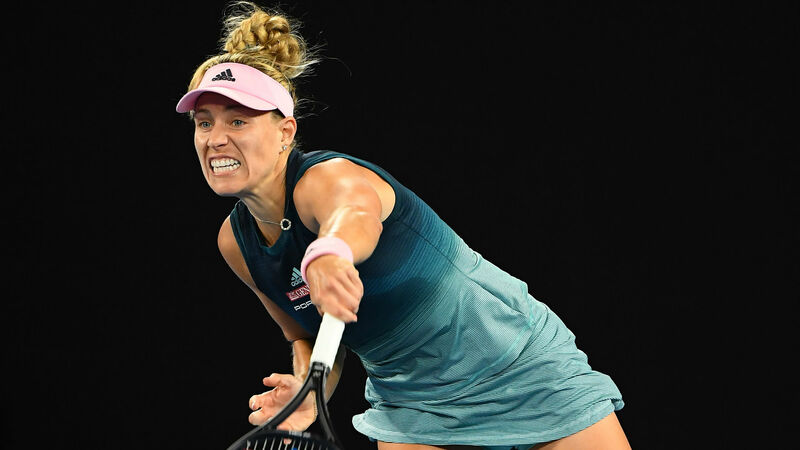 Three-time grand slam champion Kerber joined Halep in the last eight, knocking out Anett Kontaveit with a 6-1 7-6 (7-3) win in the final match of the day. Pliskova, the 2017 champion, withdrew a day after Caroline Wozniacki also pulled out due to illness, with the former replaced in the draw by her sister, Kristyna, who was beaten by Elise Mertens. Elina Svitolina, Kiki Bertens, Karolina Muchova and Barbora Strycova also made it through. Halep inspired Romania to a first Fed Cup semi-final at the expense of the Czech Republic at the weekend and maintained her momentum with a flying start against Tsurenko. The Ukrainian had lost all five previous meetings with the world number one, so it was no great surprise when she quickly fell 5-0 behind. Halep trailed 3-1 in the second set but clicked back into gear as she flashed an array of classy winners, reeling off five games in a row to seal victory with new coach Thierry Van Cleemput watching on. Kerber looked to be heading through in quick time as she dominated Kontaveit, but the Estonian refused to go down without a fight. The reigning Wimbledon champion wrapped up the opening set in only 26 minutes and wasted no time in opening up a 4-1 lead in the second. Kontaveit fended off six match points to force a tie-break, but the solid Kerber made just 13 unforced errors in a match which she won by holding it together in the breaker, booking an encounter with Strycova. Svitolina had failed to take a set in two previous meetings with Ostapenko but came through her second-round match impressively, triumphing 6-4 6-4. Last year's WTA Finals champion, who will come up against qualifier Muchova in the quarter-finals, prevailed despite being troubled by a neck issue. "I have been struggling since [the] Australian Open with my neck," said the fourth seed. "It's tough to say, because every day is changing. "It depends... on the practice, on the match, what I have, so it's tough to tell how I'm going to feel tomorrow. But every single day I try to get a treatment, I try to get some work done, and it's just a process."